Why Are Young Libertarians More Interested In Utopia Than School Choice? Editor’s Note: This is a guest post from Veronica Peterson whom I met at a recent Franklin Center conference. She was formerly with California Watchdog.org. As an advocate for libertarian philosophy I have found the common conception of “libertarianism” seems to be one of mixed ideas and an internal clash of anarchism vs. state-ism. Libertarians like to discuss all sorts of important political topics like immigration, economics, the environment, and intellectual property. Each libertarian creates a utopia, centered in the concept of individual rights, and explains how their perfected version of the State can accommodate these rights (or not). But for a group of people who are so passionate about the rights of individuals, it surprises me there aren’t more—and more fruitful—discussions of school choice. It seems libertarians would be interested in the rights of the parents and government authority, but the topic of school choice is embedded with slightly less obvious rights, as well as our government supporting autonomy. Then we are faced with the reality that while we seem to believe in supporting liberties and markets, the government is facilitating actual liberty for families and children where it was not otherwise achievable. 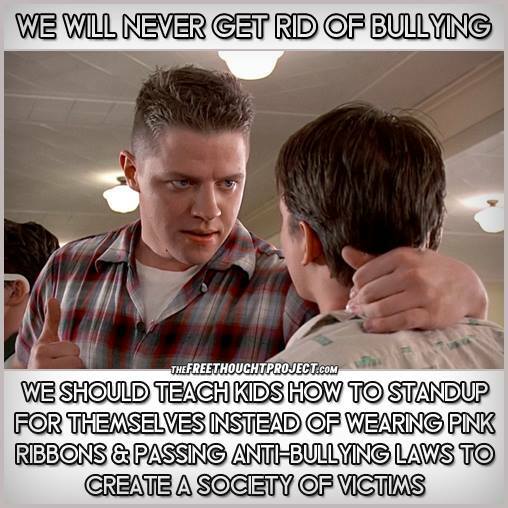 Young libertarians should be up in arms over these ideas. Young libertarians have the opportunity to create and enact a libertarian ideal in the real world—that will help their own children—if they begin now. Last month the Franklin Center held their #AmplifyChoice event in the Washington DC, area to raise awareness of National School Choice Week. The event included campus tours, meeting with teachers, families, and students, lectures about the logistics of charter schools and education, as well as opportunities to ask one on one questions with experts in education, politics, and operators of private and charter schools. In contrast to many areas of the country, families in the Washington DC area have many educational options for their children. The DC area offers traditional public schools or a diverse choice of public charter schools and private schools. Now here is one of the twists: the DC area offers the Opportunity Scholarship, which awards qualifying students scholarships to attend private schools. This scholarship is federally funded and is only available to the DC area. 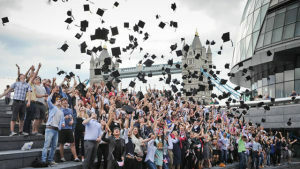 There are about 50 private schools accept students using this scholarship for their tuition. Ok, so, government funding isn’t uncommon for schools. Traditional public schools are the standard in the governmentally funded education. These are where you end up if there are no other options—children are entitled an education, and what the government provides them is what they get. What’s interesting is the most common alternative (besides home schooling) is public charter schools that are regulated differently state to state. DC has created a system that leaves charter schools funded through the government while leaving them autonomous. This autonomy is possible because of the District of Columbia Public Charter School Board (PCSB), which authorizes and oversees the public charter schools that are run by independent nonprofits. Charter schools have the freedom to use the teaching methods that the individual nonprofits choose, in contrast to whatever the government wants to teach your kids. Focusing on quality education, PCSB bases a tiered rating system of charter schools on student progress, parent satisfaction, and student achievement. Why is this not a thing everywhere? The liberty movement is the prime group to advocate for educational freedoms and the autonomy of families. Why are we arguing over who is a “real libertarian,” and instead be arguing over what schooling options are legitimate and why? Let me get this out of the way before we get started. For the most part, I like the work that FIRE does on free speech issues on university campuses. Universities are meant to be a place where ideas can be expressed freely, and all too often that’s no longer the case for many reasons. I also deplore death threats and believe they have no place in political discourse, on either side of any political issue. Anyone who issues death threats for the purpose of silencing speech should be prosecuted to the fullest extent of the law for terrorism, because that’s what this is. Now that all that is out of the way, let’s get into the story. A couple of weeks ago, Anita Sarkeesian, who is a feminist speaker and opponent of #GamerGate (if you need a #GamerGate 101, read Christopher Bowen’s piece on the topic) canceled her scheduled lecture at Utah State University due to death threats and the fact that Utah universities allow concealed weapons at universities. In a phone interview from San Francisco, Anita Sarkeesian said she canceled Wednesday’s lecture not because of three death threats — one of which promised “the deadliest school shooting in American history” — but because firearms would be allowed in spite of the threats. She also pledged never to speak at a Utah school until firearms are prohibited on Utah’s campuses and called for other lecturers to join her in boycotting the state. 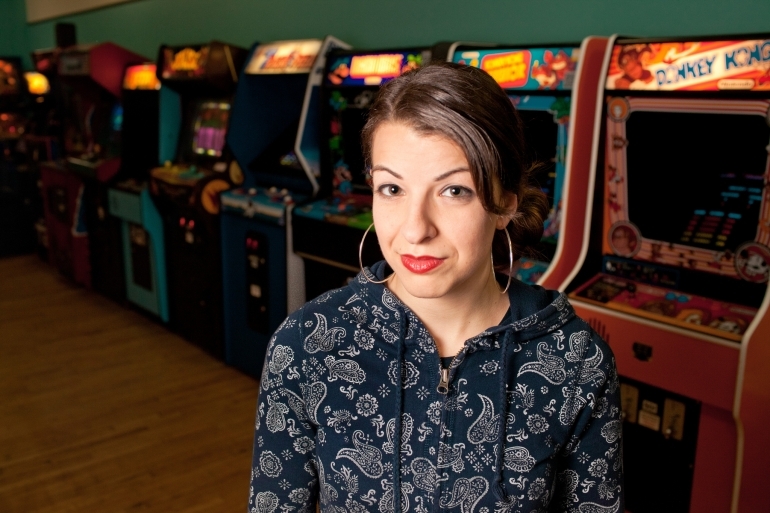 The USU police and the FBI determined that the threats against Sarkeesian were not credible. Also, Utah passed a law in 2004 that banned universites from restricting guns on campus. Whether or not you like that law, that is the law in Utah. Sarkeesian said she asked for metal detectors or pat-downs at the entrance of the Taggart Student Center auditorium, but USU police said they could not prevent those in attendance from carrying weapons into the lecture if they had concealed weapons permits. Though she said, “in hindsight, I don’t think I’d feel comfortable with any weapons in the auditorium.” Police instead promised more officers and a backpack check at the doors. Sarkeesian said she asked whether police could screen the audience for guns and let them in if they had permits, but Vitale said campus law enforcement officers believed that would have been needlessly invasive for the audience. In this era of where we read about police officers violating the rights of the citizens they’re supposed to protect and serve, it’s good to see the USU police try to balance Sarkeesian’s safety with the rights of the audience. However, this wasn’t good enough for Sarkeesian and she cancelled her speech. It’s clear that Anita Sarkeesian canceled her speech to make a point about concealed carry on campuses and this is a political stunt, not a threat to free speech because the university tried to work with her on security. The university did their job. For more on the gun control implications, read this. Now enter FIRE’s Gina Luttrell who on their official blog criticized the university for not doing more to prevent the cancellation. Regardless of the specifics of Utah’s open carry laws, universities do absolutely have an obligation to make sure that reasonable steps are taken to protect speakers—particularly when credible threats are made against them or when there may be violence toward them for their speech. Utah State should have worked harder to ensure that Sarkeesian would be safe speaking on its campus. Frankly, it’s difficult to believe that this would not have been possible to do while also staying within the bounds of state and federal law. What more does Luttrell and FIRE want USU to do? They tried to work with Sarkeesian on a security plan that would’ve been compliant with Utah law against a threat that the FBI and USU police deemed to be non credible and Sarkeesian rejected it in favor of a political stunt against guns on college campuses. Instead of attacking the university, FIRE and Luttrell should be attacking Sarkeesian for trying to frame her attacks on the Second Amendment as a free speech issue. At the same time, you can’t force someone to speak somewhere they’re not comfortable speaking for whatever reason. The answer to attacks on freedom is not to restrict freedom. It’s truly disappointing to see organizations give the cover of defending civil liberties to those who are attacking freedom, in this case giving the cover of defending free speech to a woman who is trying to restrict the right to keep and bear arms on campus.